Gone are the days of abandoned warehouses and empty piers lining the Brooklyn waterfront. Wegman’s has replaced the ghostly buildings on Admiral’s Row in the Brooklyn Navy Yard, and it’s hard to imagine Red Hook without Ikea. 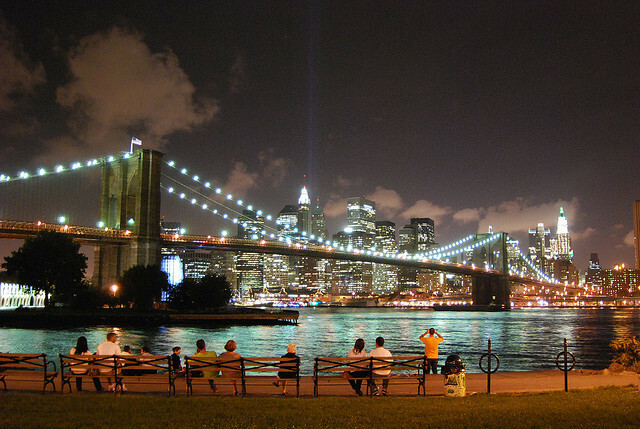 Beautification efforts in the early 2000s replaced miles of industrial sites with the Brooklyn Bridge Park and rejuvenated the waterfront as a popular space for cultural events. Now with businesses like the Brooklyn Barge Bar which offers a range of water sport programs nestled comfortably next to art galleries and restaurants, Brooklyn’s shoreline has become a playground for nature enthusiasts and urbanites alike. Here’s our recommendations of the 50 best ways to experience Brooklyn’s waterfront. 1. Snack on an ice cream from Brooklyn Ice Cream Factory (97 Commercial Street). They offer scoops of traditional flavors along with milkshakes, sundaes, and banana splits. A single scoop will run you around $4, but it’s well worth the splurge. 2. 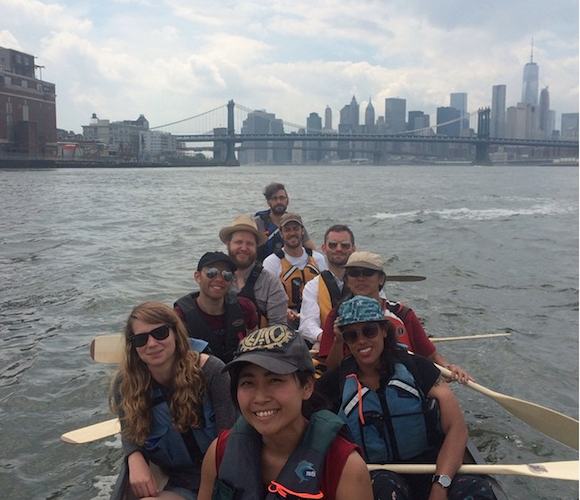 Canoe with the North Brooklyn Boat Club (49 Ash Street). Once a month the club hosts Public Paddle where instructors offer free basic instructions on canoeing and kayaking. The next public paddle is July 25 at 12 pm, life jackets and equipment included. North Brooklyn Boat Club also offers regular boating trips and classes to club members for a $40 annual fee. Check out the events schedule for more information. 3. Take the East River Ferry down from Greenpoint to DUMBO. A one way ticket is $4 on a weekday, $6 on the weekend, with two Williamsburg stops along the way. The ferry runs every thirty minutes. You can buy your ticket online or at the ferry platform. We recommend catching it at the India Street/Greenpoint terminal (at the beginning of India Street) then taking it all the way down to Brooklyn Bridge Park/Fulton stop, but feel free to get off at either of the two Williamsburg stops. Check out the schedule here. 4. Watch a show on the water at 50 Kent Avenue. The venue hosts a slew of summer events including Brooklyn Flea and Brooklyn’s first ever 90’s Fest. We recommend checking out Nighthawk’s free outdoor screening of Mallrats August 4. Director Kevin Smith and actor Jason Mewes will open the evening with a Q&A followed by the movie at sunset. 5. 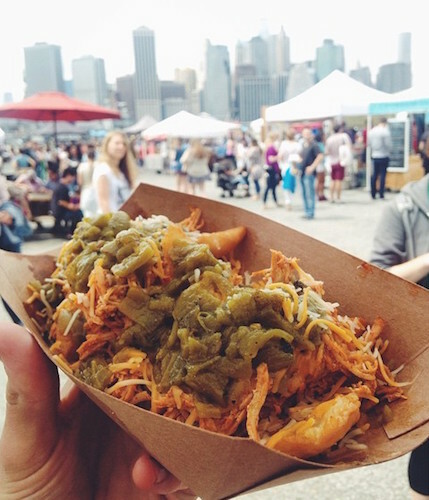 Sit by the water and munch on snacks from Williamsburg’s Smorgasburg (50 Kent Avenue). Every Saturday from 11 am to 6 pm, over 75 food vendors set up shop selling everything from bubble tea to barbecue. One prominent newcomer is Zia Green Chile Co. which specializes in the New Mexican classic sopapillas – a savory fried dough smothered in stewed meat and green chiles. 6. Kings Country Distillery (corner of Sands Street and Navy Street) offers drop in tours every Saturday from 1 pm to 4 pm. The tours cost $8 and cover the history of whiskey and New York City prohibition along with an explanation of the distilling process. The distillery currently makes three different whiskeys – Moonshine, Bourbon, and Chocolate Whiskey – all of which you can sample at the end of the tour. The distillery also offers weekday tours with a reservation. 7. Tour the rooftop farm Brooklyn Grange (63 Flushing Avenue). 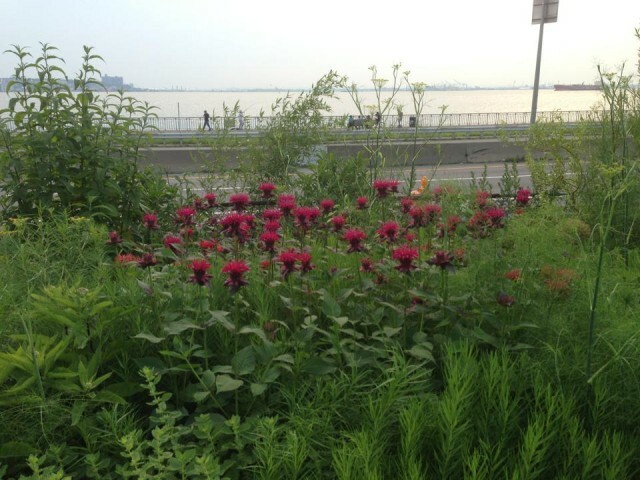 The tour gives an inside look to urban agriculture and sustainability. After you’ve finished studying the crops, the group pops over to the Brooklyn Grange’s farmers market for a taste of their fresh produce and hot sauce. The tour costs $10 and requires an online reservation. We’re so excited about this guide that we’re offering a special deal on our South Brooklyn & Rockaway Beer Book today. Cheers! 8. BLDG 92 (63 Flushing Avenue at Carlton and Flushing) retells the 165 year history of the Brooklyn Naval Yard in their year round exhibition Brooklyn Navy Yard: Past, Present and Future. The space also includes a rotating gallery currently featuring photos of the Naval Yard’s USS Constellation fire. BLDG 92 offers free admission and is open Wednesday through Sunday from 12 pm to 6 pm. 9. Read one of these highly recommended books at the Brooklyn Promenade located along the BQE between Joralemon Street and Grace Court. 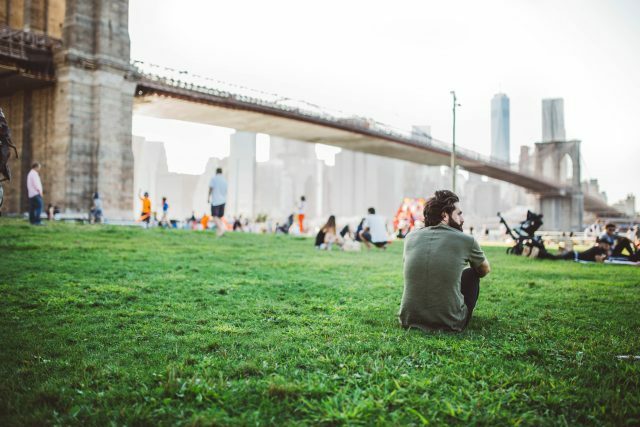 The waterfront park offers a classic view of the Manhattan skyline, and it’s a great spot for anybody looking for a bit of nature while still feeling a part of the city. 10. Ride the antique Jane’s Carousel in Brooklyn Bridge Park. The carousel was built for an Ohio park in 1922 before it made its way to Brooklyn 50 years later. Now the carousel is fully restored and open to the public Wednesday through Monday. Tickets cost $2. 11. 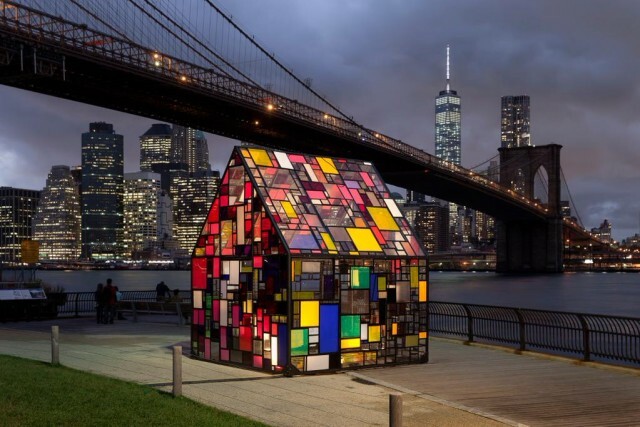 Poke around local artist Tom Fruin’s brightly colored art installations in Brooklyn Bridge Park. Kolonihavehus (Fulton Ferry boardwalk) and its similarly designed counterpart Watertower 3: R.V. Ingersoll (base of Joralemon Street) are constructed out of recycled Plexiglas as a nod to sustainability and function. Fruin will also be leading a free walking tour of the two pieces September 10th. RSVP here. 12. Discover new authors at Books Beneath the Bridge (Granite Prospect by Pier 1). The event runs every Monday at 7 pm until August 10, and features a free book reading hosted by local independent bookstores. 13. Catch an outdoor movie at Pier 1 in Brooklyn Bridge Park. Next on the roster is Sharknado 2 in case you were wondering what it would look like if New York City was attacked by a giant man eating sea monster. The movie starts at sunset, but we recommend showing up early to avoid the inevitable blanket wars. 14. Swing by Lizzmonade then chill by the pop up pool (entrance of Pier 2). Lizzmonade offers sliders, hot dogs, tacos, and other classic summer treats with a tropical twist like pineapple guacamole. There’s also a variety of lemonades, sangria, and a bar. Then laze by the pool from 10 am to 6 pm. Reservations for a 45 minute swim session are first come first serve so show up early. 15. Skate for free at the Pier 2 Roller Rink (Pier 2) every Monday and Friday from 3:30 pm to 6:30 pm then Sunday from 10 am to noon. Skate rental is an additional $6, or feel free to bring your own. The roller rink also hosts a hockey league and adult nights. Check out the schedule for more events. 16. Grab lunch at DUMBO’s food truck lot (56 Jay Street). A rotating selection of 15 vendors including Kimchi Taco, Sweet Chili, and Mexico BLVD are open afternoons Monday through Friday – it’s great for a quick midweek break by the water. 17. Attend TunnelVision’s monthly dance party under the Manhattan Bridge archway (Water Street b/w Anchorage Place and Adams Street). Parties include a live DJ and feature local artists. Next month’s party takes place Saturday August 15 from 3 pm to 8 pm. 18. The concert series Live at the Archway puts on free performances under the Manhattan Bridge every Thursday through October. Performances begin at 6 pm and finish by 9 pm. A small refreshments stand also serves wine, beer and snacks. The next performance includes punk rock group GOLD on July 23. 19. Share a pizza at famed pizza joint Grimaldi’s (1 Front Street). The sit down restaurant is a particularly good spot to eat after your out of town friends insist on walking across the Brooklyn Bridge. 20. Indulge your sweet tooth at Dewey’s Candy Store (141 Front Street). The store specializes in traditional candy sold by the pound (most popular item being Swedish fish) as well as retro treats like Pop Rocks and Smarties. They also have a small, but delicious selection of chocolates made locally including Sweetriot, Brooklyn Dark, and the organic ethically sourced chocolate Raaka. 21. Brooklyn Icehouse (318 Van Brunt Street) hosts an extensive international beer list with over 50 brews including Sri Lankan beer Lion Stout. Most brews are priced around $5 with budget friendly $2 PBR and High Life during weekday happy hour from noon until 8 pm. 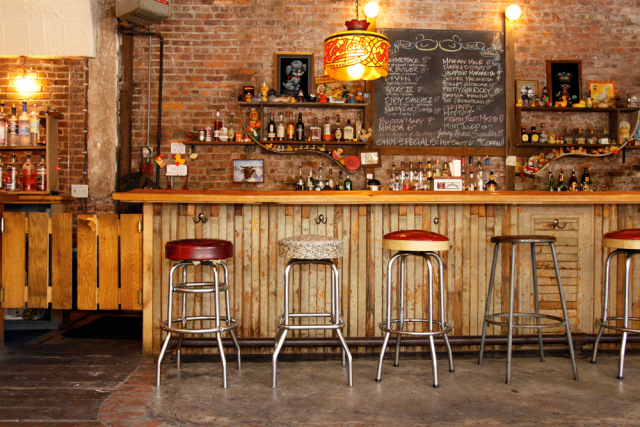 Throw in the expansive backyard seating and it’s location blocks from the water and this bar becomes a great boozy pit stop for a day in Red Hook. 22. Local dive Sunny’s Bar (253 Conover Street) is known for its music friendly vibe with live performances most nights. 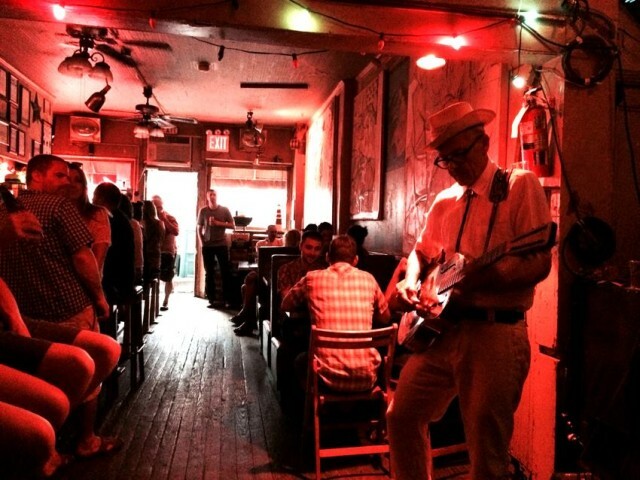 The bar also hosts Bluegrass/Folk and Country Jam night each Saturday at 10 pm where musicians can bring their own instruments and improvise with the group. The bar opens Tuesday through Friday at 6 pm, and weekends during the late afternoon. 23. Famous for their mail order key lime pies, the Steve’s Authentic Key Lime Pies (185 Van Dyke Street) storefront is well worth a trip to the Red Hook storefront for the Swingle – a chocolate covered frozen key lime pie pop sold only on location. It will run you around $6.50, but the portability and large portion size make up for it. Hours vary during the week, so drop by on the weekend from 11 am to 6 pm. 24. The Brooklyn Artists Waterfront Coalition (499 Van Brunt Street) hosts an affordable art auction at 4pm the closing Sunday of each show with pieces starting at $30. The next auction will be for the Black and White Art Show which runs from August 1 through August 23. Keeping with the theme of affordable collecting, the Brooklyn Artists Waterfront Coalition will also feature the Really Affordable Art Show – a gallery dedicated entirely to affordable art priced below $500. The Really Affordable Art Show will be open every weekend in October from 1 pm to 6 pm. 25. Clean up the Gowanus Canal with the Gowanus Canal Conservancy (Salt Lot 2 Second Avenue). The neighborhood has suffered under the canal’s reputation as one of the most polluted water channel in New York City. The Gowanus Canal Conservancy is dedicated to protecting the waterway with the volunteer Clean and Green program. Volunteers beautify the sidewalks, run a compost and look after the Conservancy’s plant nursery. Check out the schedule for specific dates and activities. 26. Trestle Gallery (168 7th Street) features contemporary artists and community programs to bring art to Gowanus. Its newest show PRIME: Spring Resident Exhibition highlights works by the artists in residents themed around nature and creation. The gallery opens July 15th at 6 pm. The show runs until August 1 and is available to view Thursday and Friday from 5 pm to 8 pm and weekends 11 am to 5 pm. 27. Bush Terminal Park wildlife reserve (Marginal Street b/w 44 Street and 50 Street) is quickly gaining popularity among bird enthusiasts since the park’s opening last Fall. Recorded bird sightings range from geese and herons to a bald eagle. Walk through the wetlands in early morning for the best action. 28. 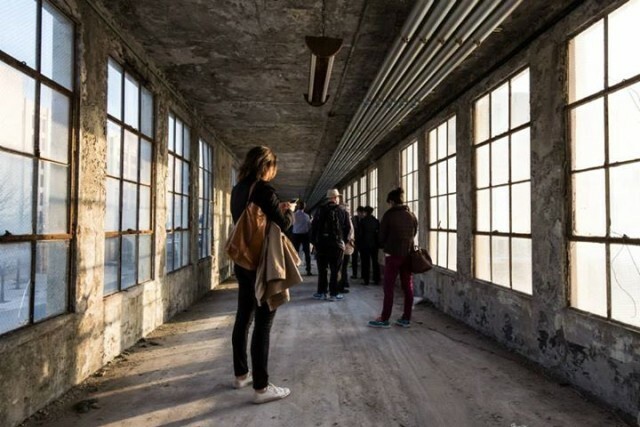 Turnstile Tours offers a walking tour of the Brooklyn Army Terminal for visitors eager to explore the historic grounds. Initially built as a military supply base during World War I, the terminal has since been converted into private office and manufacturing space. However, the early 20th century architecture remains, and the tour’s accompanying history lesson is well worth checking out. Tickets cost $22, and the next tour date is August 8 at 11 am. 29. Cut out the tourists and view the Statue of Liberty from Sunset Park (6th Avenue and 44th Street). The park is one of the highest points in Brooklyn, and it’s easily accessible from both the 9th Avenue D and the 45th Street R. The expansive hillside park has a fantastic view of lower Manhattan and the Statue of Liberty without dealing with all the fuss of better known skyline viewpoints. 30. Head down the Shore Parkway Promenade in Bay Ridge for a stunning view of the Verrazano Narrows bridge. The 4.5 mile track lining the Belt Parkway from the American Veterans Memorial Pier to Bensonhurst Park serves as a popular running path, but it’s also a pleasant stroll for the less ambitious. 31. The Narrows Botanical Garden (Shore Road b/w Bay Ridge Avenue and 72nd Street) will be hosting four free performances of Shakespeare in the Park the last two weekends of July. Come watch The Taming of the Shrew at 7pm July 25-26. 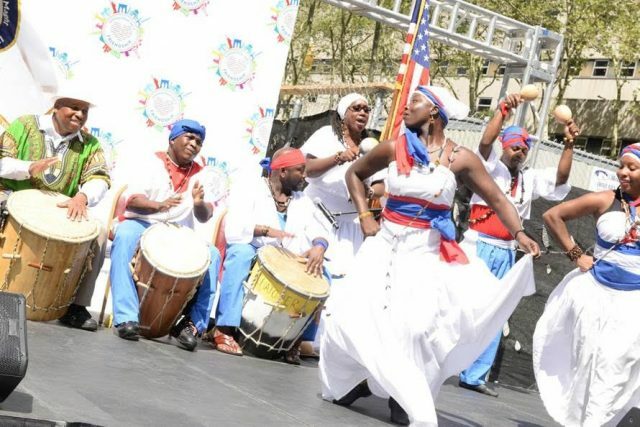 Check out their schedule for more information on these performances and other events. 32. Denyse Wharf is easily overlooked, but the location’s importance in the Battle of Brooklyn during the American Revolution makes the spot a quirky attraction for history buffs. Walk up the 4th Avenue overpass to access the wharf. It’s just south of the Verrazano-Narrows Bridge. 33. Check out the Harbor Defense Museum (230 Sheridan Loop) to learn about the Brooklyn waterfront’s past as a military stronghold. The free exhibits currently on display cover the Battle of Brooklyn, World War II weaponry, coastal military strategies and the history of the fort itself. The museum is open Monday through Friday from 10 am to 4 pm. 34. Grab breakfast at Narrows Coffee Shop (10001 4th Avenue). The no-frills diner is a popular spot for cheap food with a grandma’s house type feel. They make a mean plate of bacon and eggs with toast and home fries for $4.70. After you’re done eating, walk off your food baby at John Paul Jones Park (101 Street and 4th Avenue). 35. Explore the ship graveyard in Coney Island Creek. The creek has been used as a dumping ground for scrap metal and other industrial waste. It’s most known as the final resting place of the Quester I, a submarine abandoned after a failed launch attempt. You’ll need a boat to properly access the submarine, but there’s still plenty of maritime skeletons buried in the muddy shoreline. Head to Calvert Vaux Park’s Six Diamonds baseball field and walk along the edge of the waterfront at low tide to see what you find. 36. Karaoke on the Coney Island boardwalk every Friday of the summer. Perform your favorite tacky pop song in front of Deno’s Wonder Wheel (3059 West 12th Street) from 7pm to 11pm. We’ll give you bonus points if you can incorporate the firework show at 9:30 pm into your Katy Perry cover. 37. 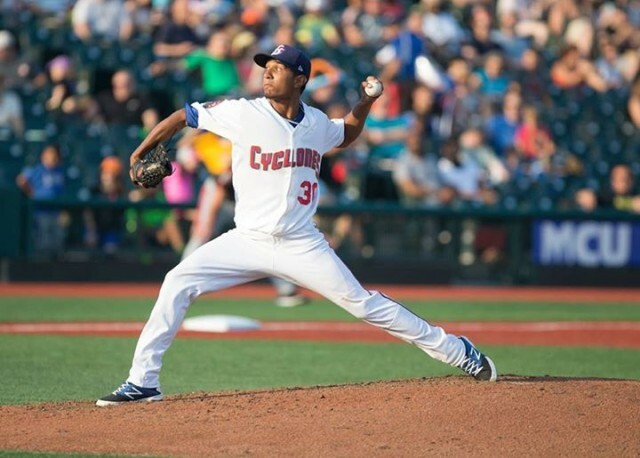 Watch a Cyclones game at MCU Park (1904 Surf Avenue). The minor league team caters to a more casual crowd than the Mets or the Yankees making it an affordable option for baseball fans. Check the schedule for home games and themed nights. We’re excited for the Cyclones game against the Hudson Valley Renegades on 80s night with $10 tickets July 29 at 7 pm. Get the budget beer lover’s passport to the beachiest bars in Rockaway, Coney Island & Beyond! 38. Flicks on the Beach (1001 Boardwalk West Street) returns to Coney Island every Monday of July and August. The free screening right on the sand is a great way to wrap up a day on the ocean. Catch Indiana Jones and the Temple of Doom on July 27 – the movie begins at 8 pm. 39. Ride the Cyclone in Luna Park (1000 Surf Avenue). The 88 year old roller coaster is a Coney Island standard, and it’s even registered as a National Historic Landmark. The ride costs $9 and is open during regular park hours. 40. Compete in the Coney Island Sand Sculpting Contest (West 37 Street Boardwalk) on Saturday August 15 at 11 am. Pre-registration for adult individual and group competitors has already closed, but you can still compete the day of when any unclaimed slot go up for grabs at noon. Winners receive a cash prize and eternal glory. 41. Pack a picnic from Brighton Bazaar (1007 Brighton Beach Avenue) then eat it by the water. The neighborhood nicknamed little Odessa is known for its strong Eastern European influence, and the Brighton Bazaar is one of the best spots for a taste of Russia. The bazaar is open from 8 am to 10 pm. 42. Go for a swim at Manhattan Beach Park (Oriental Boulevard b/w Ocean Avenue and Mackenzie Street). Hanging out at the beach might be an obvious pick, but a day of sun and surf is arguably one of the most relaxing ways to enjoy the waterfront. This low key beach is a quieter, less crowded option out of the other Brooklyn beaches. While the park provides a lifeguard, you’ll have to bring your own umbrella. 43. Clemente’s Crab House (3939 Emmons Avenue) offers all you can eat crab every Monday and Tuesday from 3 pm to 10 pm. At $32.95 per person, the meal is a little pricey, but how often do you get the opportunity to eat your weight in shellfish? Reservations are strongly encouraged. 44. 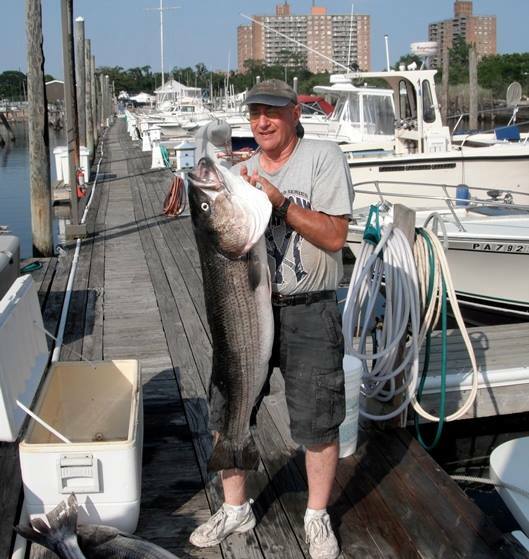 Spend an afternoon fishing in Sheepshead Bay. The tried and true spots are the Sheepshead Piers along Emmons Avenue between Ocean Street and East 26th Street. If you don’t have your own fishing pole, stop by Bernie’s Bait and Tackle (3035 Emmons Avenue) for a starter kit that includes a rod, reel and line for $20. You will also need to buy a fishing license for $5. 45. Camp for a weekend at Floyd Bennett Field (50 Aviation Road). Pay $20 per night for a camping spot for yourself and five friends. You’ll have to bring your own tent, but with grills, bathrooms and even showers nearby, you won’t have to rough it too much. A camping reservation also gives you access to the park’s archery range if you want to practice your bowmanship. 46. Rocca Cafe and Lounge (2712 Emmons Avenue) overlooks the water, and with its extended business hours (open until 2 am), it’s a good spot for a late dinner. The cafe doesn’t serve alcohol, but they will let you bring your own bottle of wine. 47. Capt’s Lady (Pier 7) offers affordable open boat fishing off the coast of Long Island. Four hour excursions are offered Wednesday through Sunday from 5 pm to 9 pm for $42 per person. Staff will provide you with a fishing license, equipment and bait, and they will clean your catch for you to take home at the end of the day. 48. Poke around the abandoned beach Dead Horse Bay. The beach gets its name from the horse-rendering factories that used to populate the area. Nowadays Dead Horse Bay is covered in multicolored glass shards and other abandoned treasures swept in from the ocean. To access the bay, head out to the Millstone Trail at the intersection of Flatbush Avenue and Aviation Road and walk until you hit water. 49. Hike through Four Sparrow Marsh nature preserve. The Brooklyn Birds Club recommends it for bird watching due to the plethora of sparrows that flock to the area in the warmer months. Four Sparrow Marsh is located north east of Floyd Bennett Field just past the Toys R Us (2875 Flatbush Avenue). 50. Check out Cafe Tabu hookah lounge (2205 Avenue X). The lounge also serves sushi and contains a full bar, but hookah is the main draw. For $20, you can rent a two person hookah packed with the flavor of your choice. Cafe Tabu will also replace the filter water with milk for an additional fee. Service is laid back, so it’s best to go when you aren’t in a rush. Get more fun guides like this one directly in your inbox, sign up for our weekly email!